There is nothing wrong with being comfortable with your body. The only concern is if you are also healthy at the same time. Our body mass tells a lot about our health condition. Body Mass Index or BMI is calculated on the basis of weight and height of a person which indicates if the individual is underweight or overweight. There are several factors that are used to assess BMI, other than the basic two components, such as geographical area, ethnic groups, age, gender, and physical activity. 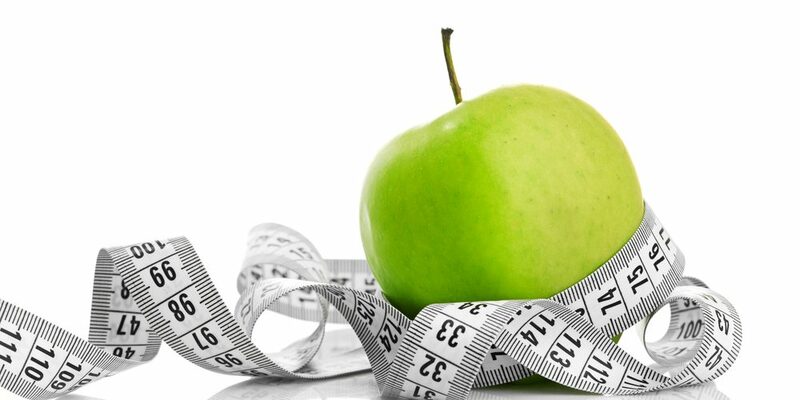 In some cases, waist circumference also helps in determining the presence of excess fat. Anything other than normal body mass is alarming because it is proof that the body needs attention. Both overweight and underweight are associated with several risk factors and serious health problems. Today we will discuss how being obese affects our health and how to help yourself with DIY fiber diet weight loss. Obesity is associated with several health issues, such as diabetes, heart diseases, high blood pressure, sleep apnea, Osteoarthritis, and even death. Reasons for obesity are defined as- poor lifestyle, consumption of alcohol, the absence of physical activity, drugs, genetics, and diet. Diet plays an important part in body weight. When we eat a lot of junk food, drink sugary beverages and avoid fibers, we tend to generate more calories in our body. At this point, if our physical movement is less than required, our body cells store excessive calories and fat and make us obese or overweight. Similarly, a balanced diet with a lot of vegetables, fruits, and cereals help us shed weight. It is because vegetables and fruits contain dietary fibers which not only help to maintain a good physique but also to cure certain health problems. Let’s find out more about high fiber weight loss. What is fiber and why is it good for you? Fibers are the building materials that give structure and strength to plants. Every plant substance has fibers in them. As we intake leafy green vegetables, fruits, cereals and other sources of food, our digestive system receives fibers. According to eminent scientists and dieticians, fibers are of two types- soluble and insoluble. Beetroots, carrots, potatoes, bananas, rye, and barley contain soluble fibers. Humans are not capable of breaking down insoluble fibers or cellulose. Cellulose or dietary fibers are present in whole bread, rice bran, cereals, leafy greens, vegetables, and fruits. To control obesity, the role of fibers is noteworthy. Dietary fibers comprise of vitamins, minerals, anti-oxidants, and several other bioactive ingredients. Fibers help to prevent small intestine and colorectal cancers. Helps movement of bowel and extremely beneficial for constipation. According to scientists, dietary fibers help Type 2 diabetic patients to lower the blood sugar level. According to the Whole Grains Council, fibers in whole grains reduce the risk of coronary heart disease. 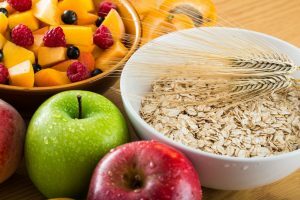 Increased consumption of dietary fiber lowers the risk of mortality, as suggested by researchers Kim Y and Je Y. Above all, dietary fiber help lose weight without question. How does fiber work on the body? The human digestive system breaks down the food particles until the molecules break and the essential nutrients are absorbed by the system. The plant-based carbohydrate, dietary fibers are indigestible by humans. It is because the enzymes, acids and other chemical components in our body can’t break down cellulose. This is why when we eat a lot of fibers, the remains or roughage does not produce extra calories. Insoluble fibers are present in our system until we flush it out from in the form of stool. Fibers are rich sources of essential nutrients, such as vitamins, minerals and organic chemical components that make us healthier. The role of fibers in weight loss has been proved on several occasions. 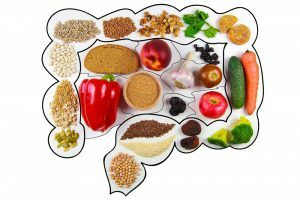 After we eat vegetables and cereals rich in dietary fibers, our stomach remains full yet generate less energy, thereby, limiting calories. The bulk produce absorbs water and gets out of the system where we excrete. Eating fibers is a healthier and proven weight loss method than fasting. Well, fibers do not contain any magical element to burn your fat, but they put a limit on calorie produce. Whereas, fasting means risking our health and attracting more maladies. When we fast, our body does not get energy, and we comprise of our health condition. Fibers are also known as a nutrition powerhouse. Eating more vegetables rich in fibers keep our organs healthy, replenish our skin and give us a younger-looking body. Before you add any edible fiber to your diet, ensure that you are non-allergenic to the product because there are several vegetables and fruits that may contain elements we are allergic to. Avoid over-eating, and you should limit fibers intake only up to the recommended amount. Remember, alone fibers cannot reduce weight if you are not physically active. Now that we know the benefits of fibers in our body and how they help to lose weight, why don’t we start immediately? It is not only about losing weight but staying fit. If you want better and fast results, then start doing yoga, join a gym and start exercising regularly. Adherence to schedule is also important. Eating a lot of fibers in odd hours does not help in any case. Learn to manage your time and utilize your breaks properly. Do not eat more than required, break your total intake into several parts and eat several times in the day. There’s a trend to incline towards dietary supplements to lose weight. If you are one of them who are seeking supplements, always consult with your nutritionist before buying. Soft drinks, French fries, burger, and pizza are tempting, we all agree, and that’s why we need to control the urge of eating junk food. Junk food increases our body fat and leads us to health issues. Adapt to a healthy lifestyle and abandon all that’s unnecessary. Last but not least, stay happy and experience a wonderful fiber diet weight loss program.